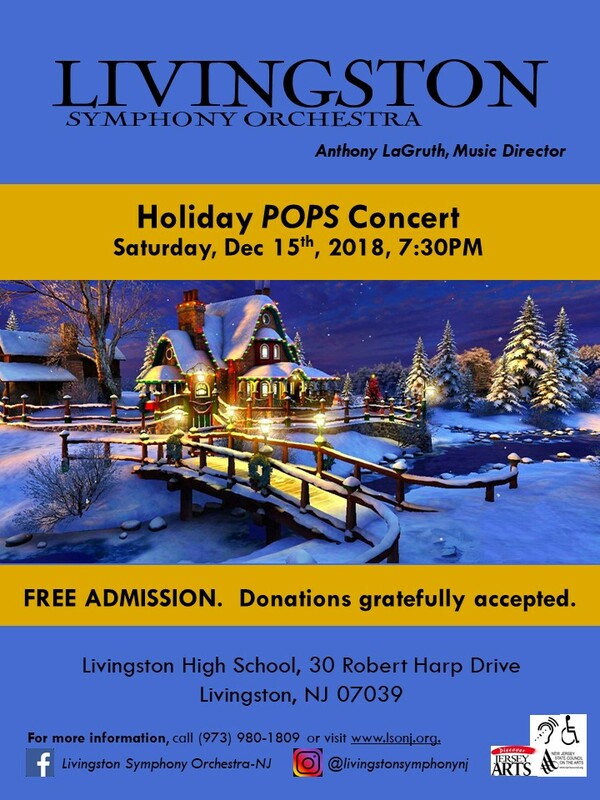 Please join the Livingston Symphony Orchestra for our 2018 Holiday POPS Concert! The program will feature a wide variety of traditional Holiday Season pieces from the 20th century, as well as some from the 19th and 21st centuries. It is sure to be a memorable program, and a great way to spend a Saturday night with family! FREE Admission. Donations are gladly accepted, and GREATLY appreciated! Links to download concert flyer: JPEG or PDF version. ← LSO Barnes & Noble Bookfair Fundraiser this Weekend! Dec 1-2!